ELIZABETH CITY, N.C. – Chevrolet just released the all-new 2017 Trax at the Chicago Auto Show this week, and we’re all amazed! The small SUV was already popular, but with a completely redesigned interior and exterior, more connectivity options, and added safety features this car will be at the top of your wish list. Chevrolet just released the all-new 2017 Trax with its upgraded interior and exterior design. 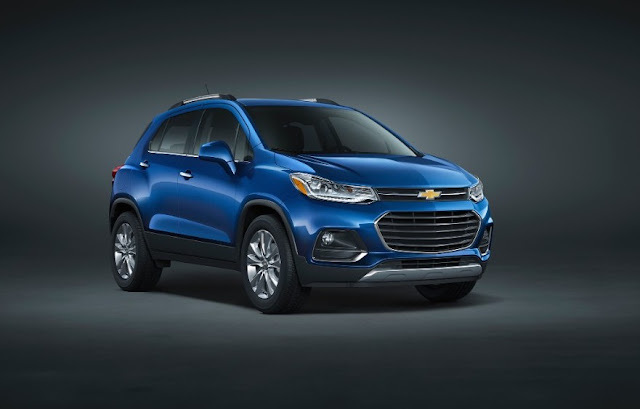 The Trax’s new exterior features sleek headlights, a dual port grille, and sporty chrome accents with the same style inspiration as the new Malibu, Cruze, and Volt. Wherever you and your Trax go, you’ll always be connected with a new 7-inch-diagonal MyLink color touch screen. Plus, you go totally hands-free by using Apple CarPlay and Android Auto. If you like long road trips, you might also want to looking into getting the 4G Wi-Fi hotspot, which will let you connect up to seven electronics at once. With safety as a number one priority to Chevrolet, the all-new Trax features Side Blind Zone Alert, Rear Cross Traffic Alert, Forward Collision Alert, and Lane Departure Warning. For those of you that are keeping track at home, the Trax also has 10 airbags that will keep you safe at every angle. There are some things that didn’t change with the new Trax, and that’s what’s under the hood. The 2017 Trax is a blast to drive with the Trax EcoTec 1.4L turbocharged four-cylinder engine and a six-speed automatic transmission. The 2017 Chevrolet Trax will be coming out this fall in many different trims including LS, LT, and Premier trims. If you’re looking to make an upgrade to a new Chevrolet soon, check out the 2016 Chevrolet Trax. Come on in and take a test drive in one today. Perry Auto Group has two dealership locations to serve you better at 1005 W. Ehringhaus St, Elizabeth City, NC, 27909 or 1001 Halstead Blvd Elizabeth City, NC 27909. Stop in for any of your auto or community needs, or feel free to give us a call at (252) 338-9100.